As radio shock jock Don Imus apologizes to the Rutgers women’s basketball team for his racist characterization of its players, the event is playing out exactly 60 years after Jackie Robinson broke the color line in baseball. When Robinson took the field, he faced racist taunts, and while much has changed since that time, it’s clear that much has stayed the same. In 1947, when Robinson walked out on the diamond as baseball’s first black player, ugly abuse was spewed at him — he met with shouts and bean balls, and received hate mail that carried threats to his life. At the time, segregation was everywhere — in neighborhoods, schools and the armed forces, and Major League Baseball was played only by white men. But then, Dodgers manager Branch Rickey signed Jack Roosevelt Robinson for $5,000 a year, and changed America’s favorite pastime. Robinson would go on to participate in a championship season — he stole his first World Series base that October, helped the Dodgers win the pennant, and was named Rookie of the Year. Robinson went on to play on six All-Star teams and participate in five more World Series games. He was soon followed onto the field by other black players, including Larry Doby, Don Newcombe, Roy Campanella, Willie Mays, Ernie Banks and dozens more to come. Still, despite Robinson’s success, there were restaurants that wouldn’t serve him, hotels where he could not stay, and he had to sell appliances to make ends meet. 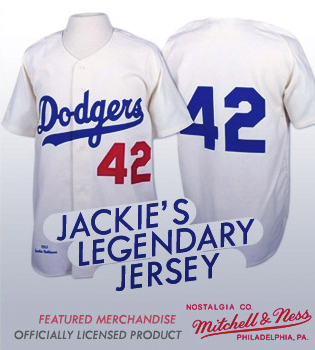 Yet through it all, there was much more to Jackie Robinson than his exceptional skills on the diamond; he became known for his courage, dignity and passion for brotherhood and civil rights, achievements that endured long after he’d left the big leagues. 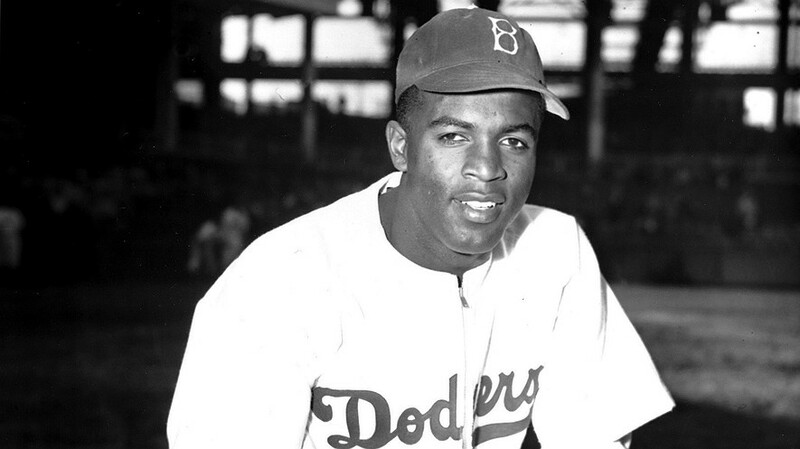 In 1957, when the Dodgers traded him to the New York Giants, he said no thanks, and retired. He was, of course, already a giant, and he is our Person of the Week.